Straight from the tradeshow floors, here’s our recap of the January NYC sourcing shows. Last month I walked the show floors of DGExpo, PrintSource, Première Vision, the first ever US Texfusion, and Texworld. I bounced all over New York City to check out the sourcing and trend forecasting that is going on for 2020. First stop was DGExpo. This was in a new location, moving from their usual Hotel Penn to The Metropolitan Pavilion. The show was spread out over 2 floors with lots of vendors both domestic and from abroad who cater specifically to orders with small minimums. There were many familiar faces and a few new exhibitors to discover. DGExpo does not exhibit a curated trend story, but here are a few trends we noticed. Metallics on everything from elastics and findings, to lurex knits, and glitter PVC. Artisan made textiles, like the ones we saw from Subbarow, and artistic boiled wool masterpieces that could pass as art. 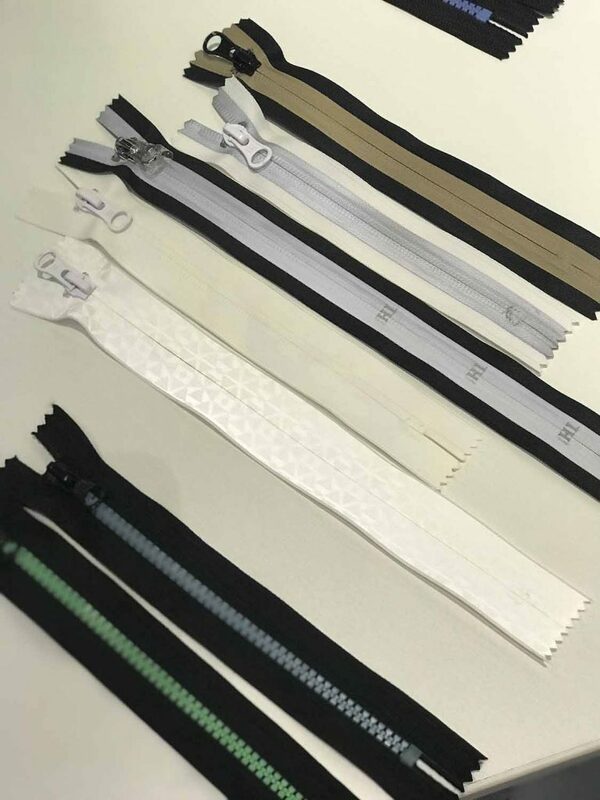 Innovation in textiles continues with new finishes from Kendor like collagen, to provide anti-aging skin care straight from your workout gear. Regardless where the vendors are from, many goods still come from China and another trend that’s happening is higher costs! We’re told that silk duties from China went up 10% as of January 1stand are due for another 25% tariff hike in March. So be prepared to start seeing these increases in your product costs. If you are importing raw materials form China, or purchasing from a vendor that does, now is a great time to start relooking at your margins and retails. Next stop for us was the Print Source POP-Up over at Hotel Penn. Whimsy was in the air with colorful, bold prints with a hand drawn touch. For kids, unicorns are not going away anytime soon, as well as llamas and narwhals. Although, we are hoping to start seeing some different points of view on this trend as they tend to be start feeling very repetitive. We would love to see some fresh takes on the unicorn print trend that is more adult driven. We saw beautiful, bold florals, juicy colored fruit prints, and marker scribbles reminiscent of Moschino SS19. 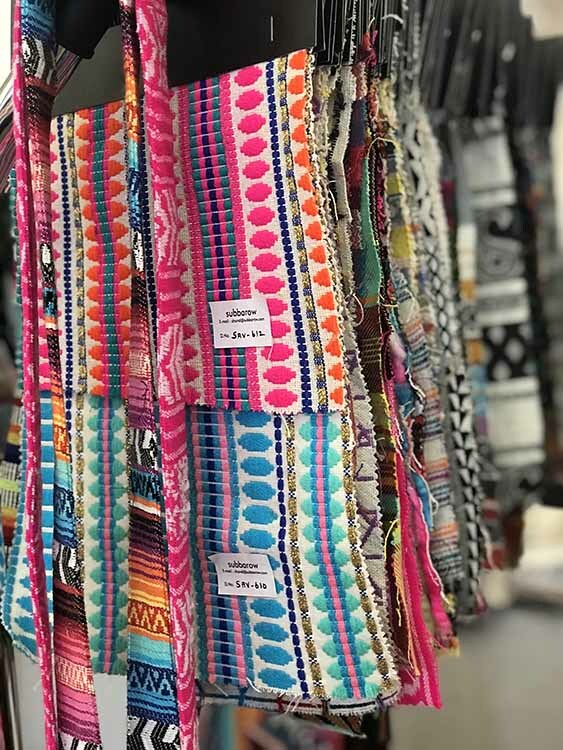 Bandana prints were a big trend that showed up from a lot of vendors and we already have some thoughts on products that this trend would work really well for! 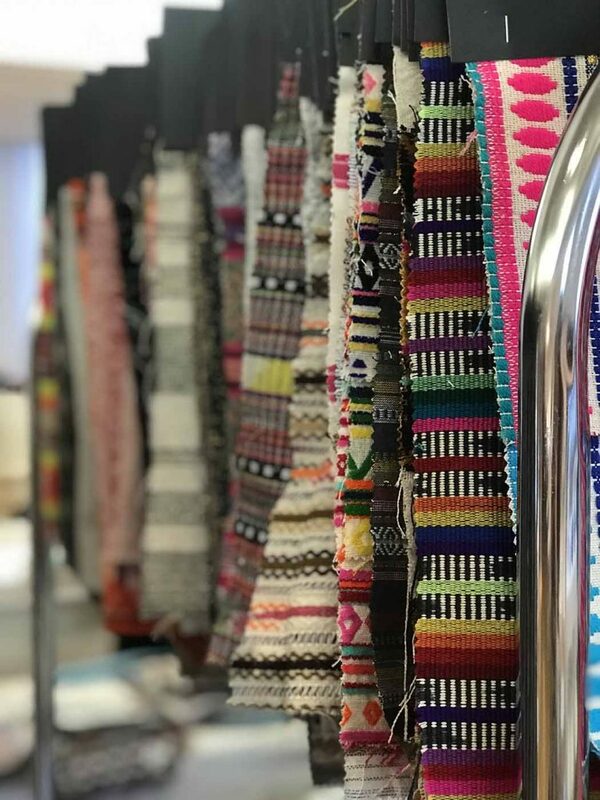 Over at Première Vision, the show was full of mostly fabric vendors from around the world, a large section of print design studios, a smaller section of trim manufacturers, a MADE IN THE USA manufacturing area, and a couple trend forecast exhibits. 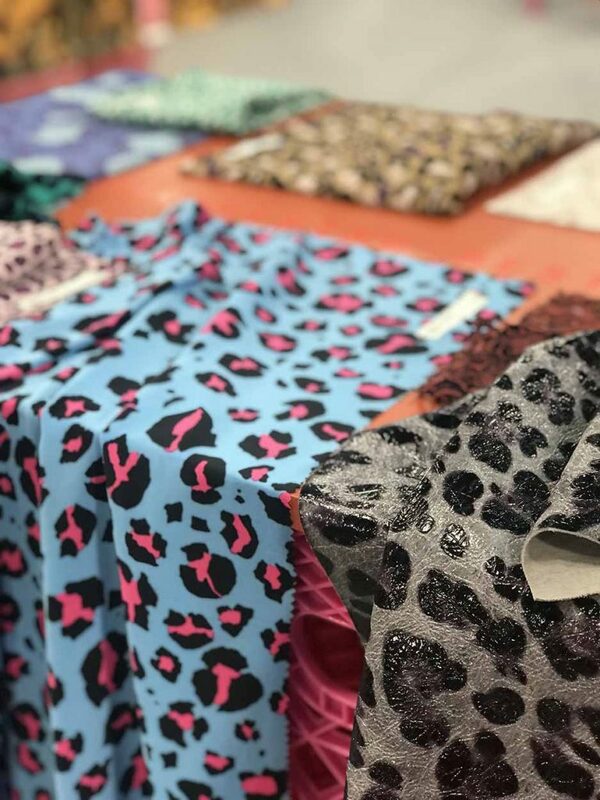 The fabric vendors offered both large and small order minimums depending on the supplier and materials suited for every product from bridal to streetwear, suiting to sleepwear, and everything in between. Reflective finishes seemed to be on everything! They were seen in more traditional reflective designs, printed reflective design, and hidden reflective prints that show only when light is on them. The limits to what you can do with this are really being pushed and introduced in new, fun ways. The print design area struggled not to feel like a sea of sameness. Many print studios showed, but did little to differentiate themselves. We really loved the look of the digitalKente prints. Their West African inspired prints, geared toward active and swim wear, stood out as a new fresh print studio on the scene. 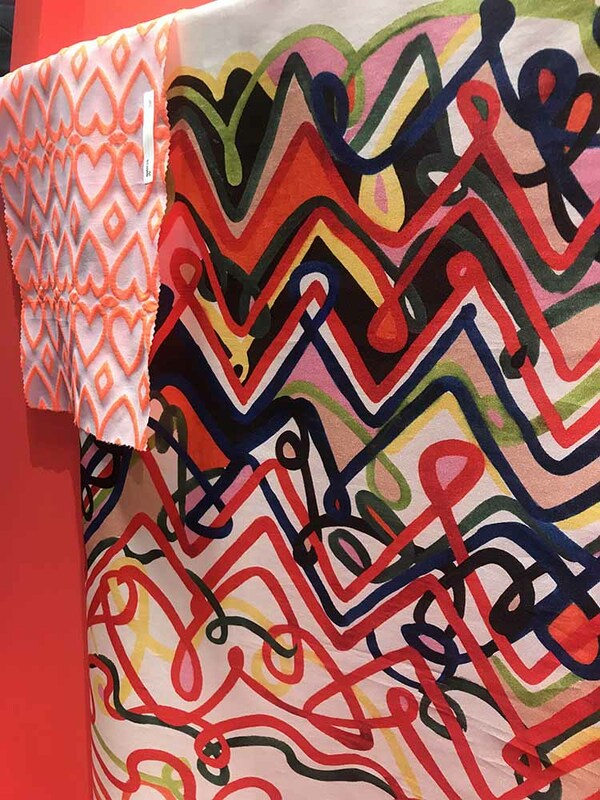 Their prints were very geometric, shown as a mix of more graphic versions and watercolors options. I really love what they are doing! Lots of New York based apparel makers were represented in the manufacturing section. Everything from cut and sew, to knitwear, to custom embroiderers came to show off what they can do for your brand. These manufacturers cater to mostly high end, luxury range brands bust mostly no, or very low minimums. Sustainability is an on going trend that I really wouldn’t categorize as a trend any more but more as a growing market segment and initiative that will only get bigger and more prominent. We saw sustainable logo labels from Italy, made from recycled plastics, sustainable leather, recycled graphite, and cork. We reviewed recycled plastic buttons and biodegradable 3D printing materials. How to make the fashion industry more positively impactful to our environment is on the minds of many. 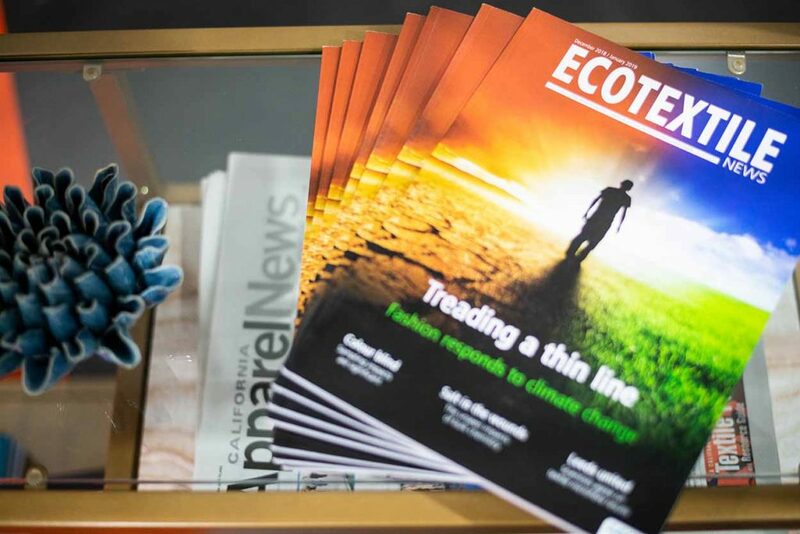 Now, that does tend to come at a premium, Panama Trimming is an outlier in that they do not charge higher prices for their sustainable products but instead average out their costs across the conventional and sustainable lines. I love to see this and hope that we start to see more and more suppliers doing the same. As this market segment gets bigger and bigger, I expect to see the price gap between standard and sustainable products get smaller and smaller. This has to happen in order for more designers and brands to be able to afford to implement these options in a more meaningful way. The color trends for Spring/Summer 2020 are saturated, bold, and earthy. PV’s trend story had political undertones, naming one color palette “fake news”, which includes darker-than-typical-spring jewel toned hues of crimson, purple and navy, paired with more neutral olive, nicotine brown and margarine yellow. The lighter, brighter and more cheerful group “human / signal / identity” showcased tomato red, marigold, a rosy pink, white and a light/medium grey. The “liquid / wet” color palette was the earthiest of all with sea foam green, minty blue next to bio algae, Neptune blue and an eggplant purple. “Beach air wind” color story paired dusty, rusty and muted earth tones with explosive pink and a cheerful shade of orange. Also in the trend arena were bright color combo textiles and trims, leopard prints in natural tones and pop color ways. Geometric graphic prints and marker scribbled hearts. Next stop, back to Hotel Penn for Texfusion’s first US show. Here, vendors from all over Europe and some coming from Asia showed their wears. The order minimums here varied with some vendors offering small minimums and others being more traditionally higher. Again their were fabrics, trims, manufacturers and more. We’re noticing more and more Asian manufacturer’s offering low or no minimums to start building relationships with new brands, which I see as a winning strategy in this market. We saw textured swim materials from Billon Design that feel really fresh. Ribbed, nautical knits, geometric patterns, and of course, leopard motifs are all proving to be big swim trends. On the entry-level floor, there was a beautiful trend display put together by Morphew that you could not ignore. Their curation of vintage textiles and vintage apparel is always inspiring and offers an exciting point of view. 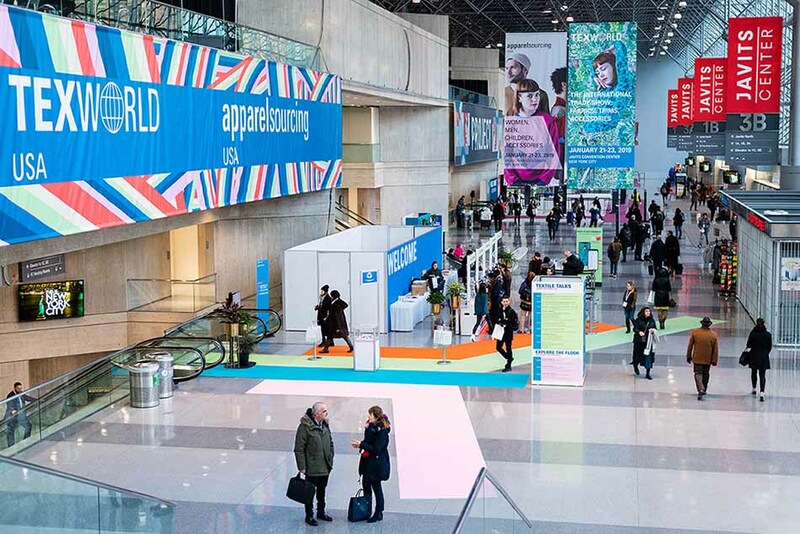 Texworld USA was our last show of the month over at the Javits Center. We met some amazing first time exhibitors and saw fresh offerings from familiar vendors. Texworld‘s trend showcase featured lots of textured fabrics including ribs, chunky knits, and beautiful brocades. Metallics continued to show up here in a big way, some more bold, and some more subtle. Again, leopard prints and camo prints are proving to be key trends. Rusty, warm red tones in varying shades are reminiscent of desert scenes. Grey and white are being mixed with a pop of fiery orange. Blue hues range from deep and sophisticated to bright and cheery. Blush pink tones take on a more edgy vibe when finished with an iridescent metallic finish. Sustainability is on everyone’s minds here, too. Many of the Textile Talks and Seminars focused on this topic while large crowds of visitors listened on intently. One big takeaway here is something that we often say, when it comes to sustainability, you really must choose what is most important to your brand and find the balance that works for your customer, your business, and your sustainability goals. Low minimum suppliers seem to be multiplying, which is a great thing and a sign of a changing tide in fashion brands and a large start-up fashion scene. I attended a talk on the current state of the trade war with China. The insight was really impactful and educational. It also reassured what we have all been feeling, which is that right now there is a lot of unknown and that it is constantly changing. The fact is that brands are really having to navigate this hurdle, especially if producing in the US with imported goods from China. With raw materials being hit with these tariffs, domestically produced brands really need to pay attention to what is happening and work to cover their costs and margin needs. This is easier said than done of course, given that producing domestically already comes at a higher price point for production. 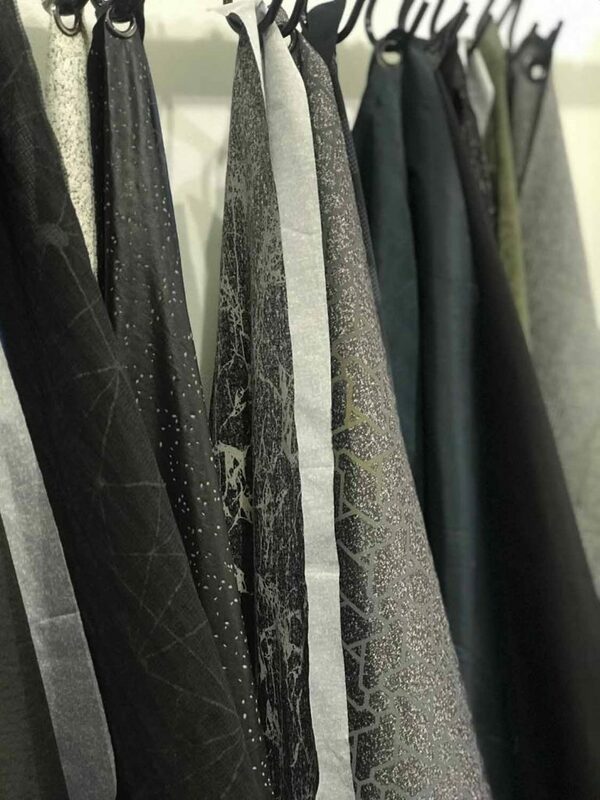 Throughout these shows, I did see a lot of exciting things happening from a trend standpoint as well as some really exciting new resources of suppliers and manufacturers. Spring/Summer 2020 is looking like an exciting season!